The Pomeranian is a miniaturized relation of the powerful spitz-type sled dogs of the Arctic. The breed is named for Pomerania, the area of northeastern Europe that is now part of Poland and western Germany. It was there, hundreds of years ago, that the Pom’s ancestors were bred down from their much bigger, burlier cousins. 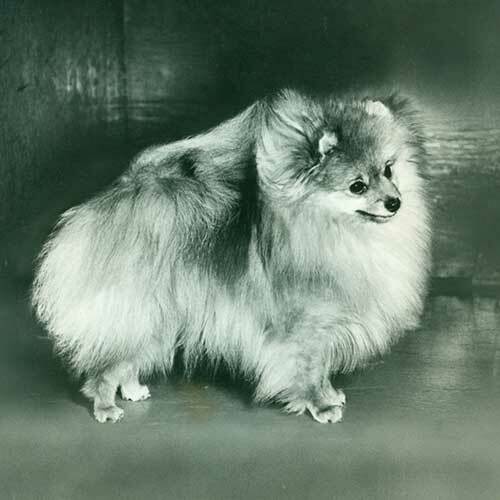 The Pom, also known as the Zwergspitz in some countries, is the smallest of the spitz breeds. With their elegant appearance and regal bearing, you might say Poms are “fit for a queen”—and you’d be right. 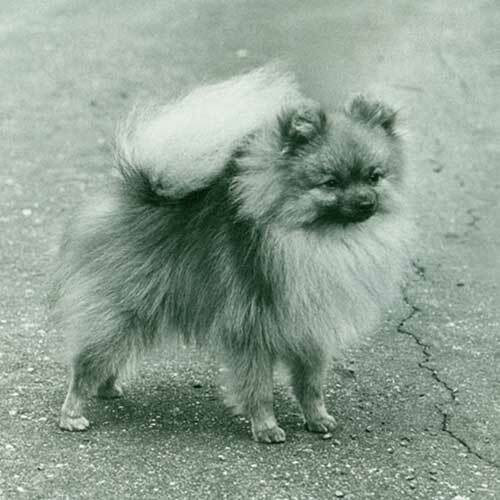 The Pom’s popularity is largely due to Queen Victoria, who became smitten with the breed while visiting Florence, Italy. 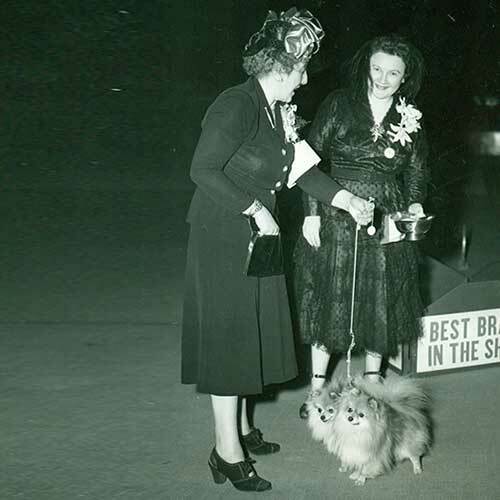 When the dog-happy Dowager Queen returned to Britain with Poms in tow, the breed’s fame was assured. 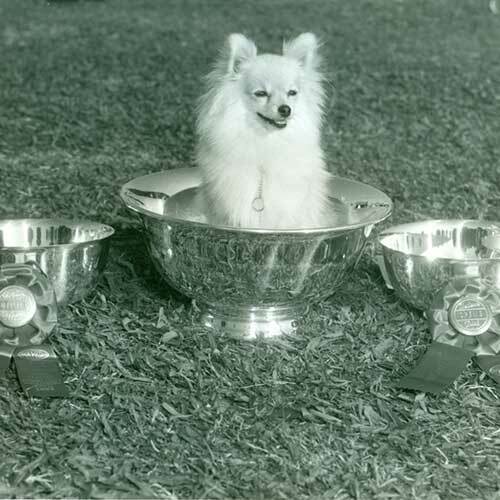 Victoria became a serious breeder and exhibitor of Poms. At the 1891 Crufts dog show, Victoria showed six of her breeding. 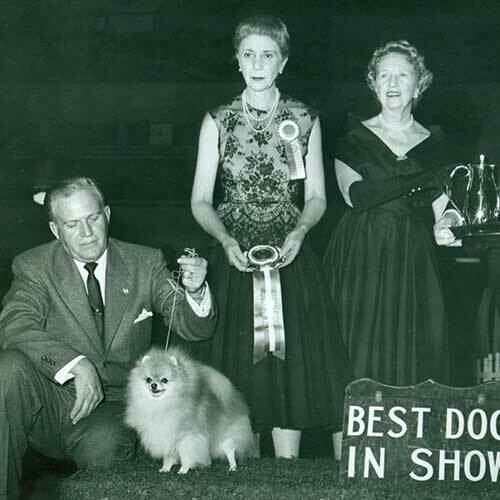 One of her favorites, Windsor Marco, won first place in the breed. (A British historian wrote, “It would have been a brave judge to have placed her second.”) Victoria is credited for reducing the Pom’s size from about 30 pounds to their current toy stature. It was reported that as the aged queen lay dying in 1901, her favorite Pom, Turi, kept vigil at the foot of her bed. Other historical figures of refined sensibilities who were Pom owners include Marie Antoinette, Emile Zola, and Wolfgang Amadeus Mozart.